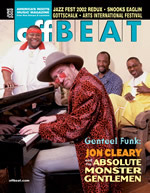 From the June, 2002 issue of Offbeat (THE New Orleans monthly music magazine) review of John Royen's CD written by music critic Robert Fontenot: "John is the man who brought East-Coast style stride piano to Preservation Hall in the early 1980's, adding a syncopated ragtime beat to the traditional New Orleans sound." "...as a newly recorded documentation of a nearly-lost art, this is both historically and culturally significant." "Stride piano devotees will be happy to hear a local son of sorts delivering such a consolidation of styles; the uninitiated will simply hear the sound of life, in all its beautiful, horrible complexity." Thanks to Grant Simpson of www.stridepiano.com fame. He has kindly linked to our website. Be sure to check out his. "There is certainly no shortage of first class jazz pianists in our town. Boeddinghaus, Butler, Crawford, McDermott, Pistorius, Torkanowsky...these are just some of the names that come to mind...But among this stellar lineup, John Royen holds a unique position...John is our stride guy." "...a texture and feeling that tells me more about John Royen than I knew before." "Clothesline Ballet...It really rocks and it's an ideal way to start off." "...you're going to want to hear this one again." "John is a sensational pianist," says ace drummer Hal Smith, who has played with John for years. 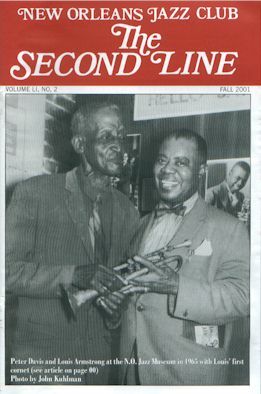 "He is immersed in the Harlem stride style but he sometimes ventures into other territory--Morton, Sullivan, blues, and boogie-woogie. Whatever style he performs is played for keeps. John is an excellent musician, a gentleman, and a delightful musical associate." Underlining the pianist's important role in small group jazz, (Tim) Laughlin says, "Today with clubs only hiring trios, John handles the absence of the bass line like a real pro....(He was) the backbone of the rhythm section of my band at the New Orleans Hilton."